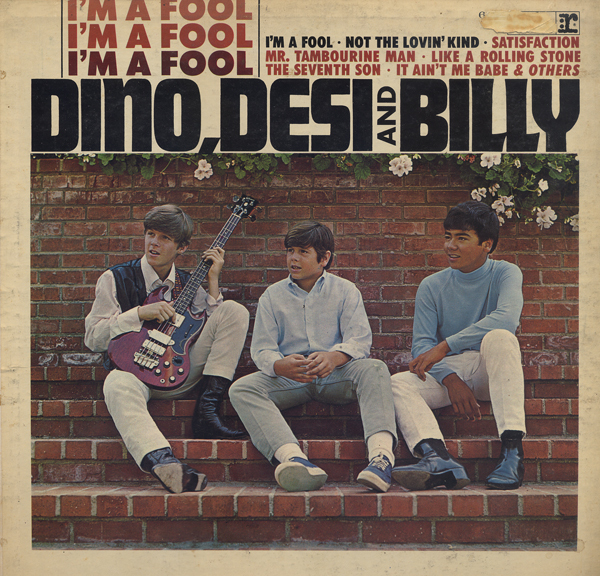 The December 5, 1964 Billboard gave this release "Pop Special Merit". The catalog numbers aren't the same. This album cover looks more like a late 50s release to me. 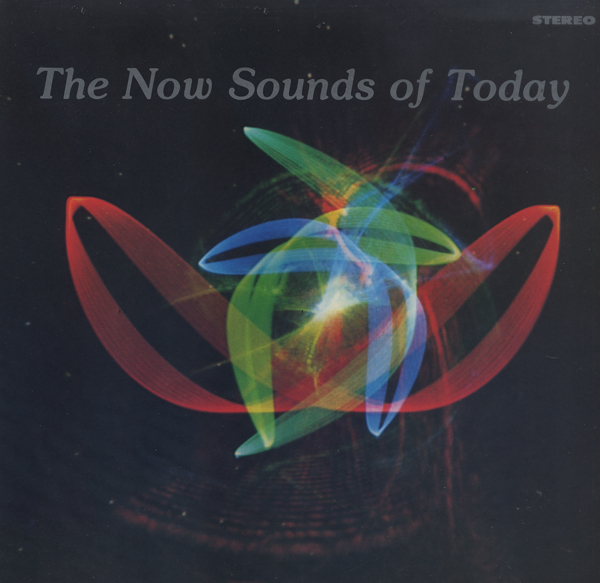 The 1964 album is a reissue with a different cover. The sample I posted above is a tune covered often by "exotica" artists. This is a nice album with a cool period pop flavor. 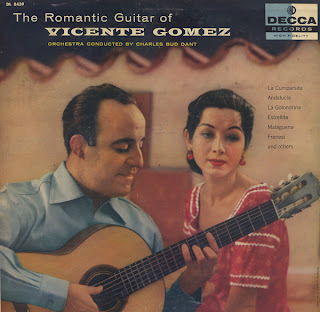 The Spanish-born American guitarist, Vicente Gómez, was born in Madrid in 1911. His father owned a tavern in the city's red light district, frequented by sailors and gypsies. It was there, in the kitchen, where the young Vicente, at age 6, began practicing the guitar, picking up flamenco rhythms from the patrons. At 12 he began classical training with Quintin Esquembre, a former pupil of Tarrega, at Madrid's Real Conservatorio. He performed his first concert one year later, in 1924, at the famous Teatro Español in Madrid. Read more here. 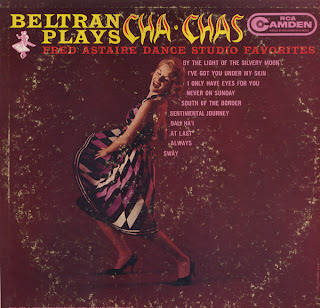 Very nice Cha Cha album by Mexican Orchestra Leader Pablo Beltran Ruiz. 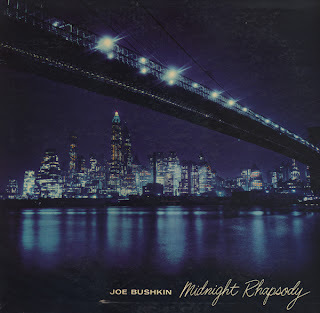 This album was release on RCA's budget label, Camden. 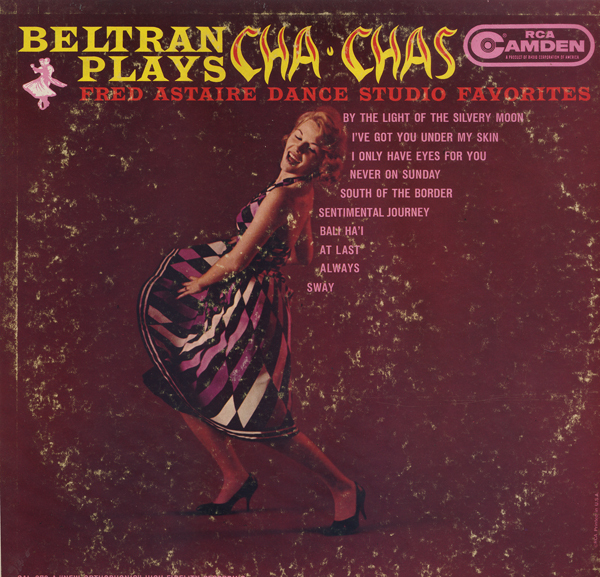 Beltran was made most famous for composing a song made internationally famous by Dean Martin as "Sway" in 1954, and later by Bobby Rydell in 1960, with English lyrics by Norman Gimbel. His music, including "Sway" have been used in numerous of films. I'm not sure what the promotional tie in with the Astaire Dance Studio is. Perhaps the album was put together as marketing tool for and with the backing of the Astaire Dance Studio. 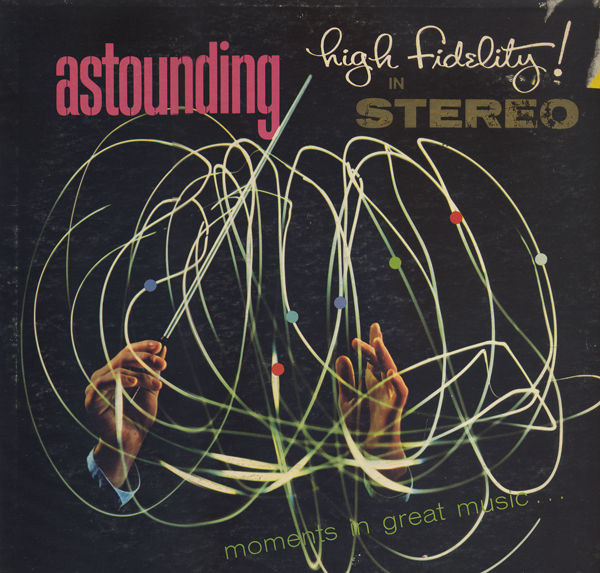 The October 23, 1961 Billboard gave this record a "Strong Sales Potential". 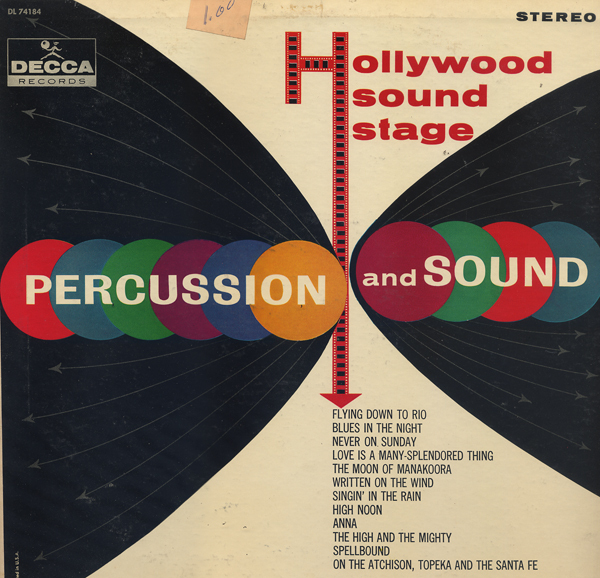 This is a cool percussion album. The cover isn't a strong design, but the music is outstanding. Tracks begin with a brief scene setting sound effect which blends nicely into the main track. 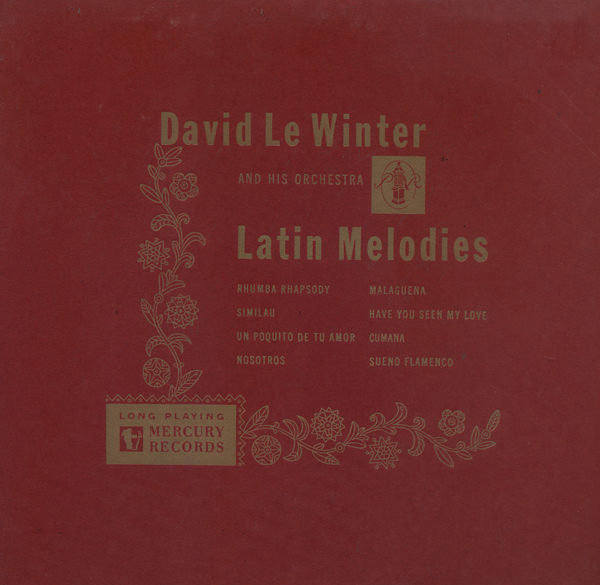 The sample track above is pure exotica surprise found on this enjoyable album. I post this record from my friends who want to know who the heck Dino, Desi And Billy were. Well, Dino was Dean Martin's boy and Desi, Desi Arnaz's (Desi and Luci) kid. They formed this band with their friend Billy Hinsche. Arrangements are by Billy Strange, Jack Nitzsche and Lee Hazlewood. 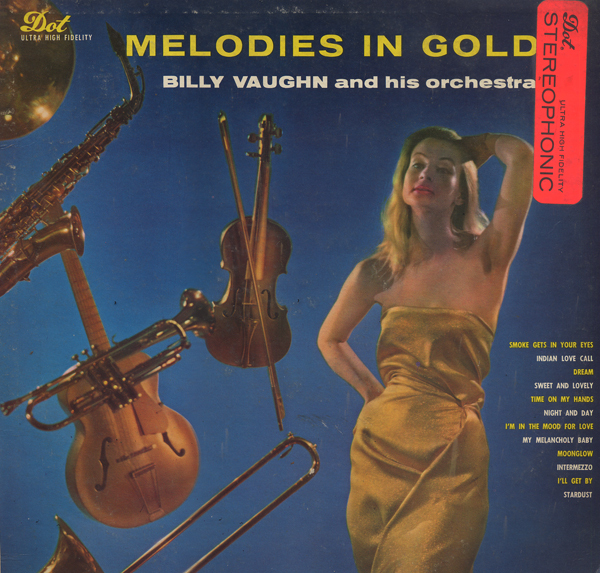 Musicians credited on the back cover: Al Casey, Billy Strange, James Burton, Jim Gordon, Jim Troxel, Dr. Jim Simmons and Jimmy Grey, Donald L. Owens. I'm A Fool charted #17 Billboard and Not The Lovin' Kind (also on this album), #25. They opened for The Beach Boys in 1965. None of the boys were barely 15 years of age at the time. They also opened for Paul Revere & The Raiders, Tommy Roe, Sam The Sham, The Lovin' Spoonful and The Mamas And The Papas. Apparently the boys make a appearance in one of the Martin "Matt Helm" movie's Murderers' Row (a movie I have sitting here waiting for me to pop into the DVD player). Read more on their wiki page. The record is available on CD. Born with a golden spoon in their mouths... Still, the record features some great 60s ringing/crunchy electric guitar sound. Fun stuff. Chase And Kill From "Safari"
There are a few songs on this album by The Nord Deutches Symphony, a few by 101 Strings, one The London Philharmonic and the sample above that is uncredited. The Chase And Kill track is very much different from the rest of the "classical" fare on the album. I only other example of this cover I found online is listed with different catalog numbers. I can't find ST-91985 online. The record seems sort of obscure and the other image I found, features color that look very much different. My scan is the actual color of my copy, a sickly yellow/green. What a weird looking cover. What's up with the zombie model anyway? The music is way groovy 60s light pop. I love the sound. I can't say that there is a dull song on the record. The title track may be available for purchase by the download. But the snippet seems different then the version on this album which sounds fuller. I couldn't find Time Of The Season online, so I post it as a sample. Interesting cover. I can't say this cheesecake model does much for me... Certainly the dress does nothing for her. Anyway, the tracks are available for download at the usual online outlets so I won't be posting a sample. The music is punctuated with some "The Shinning-esque" clarinet that stabs through vail of easy listening. It just reminds me of that ballroom scene in the movie The Shinning. Like music from a haunted dance hall. Originated and produced by Loren Becker, Robert Byrne and Julie Klages. Another fun Command album. You can hardly go wrong with the Command label. Even though this album was released after ABC got their hands on the label and the quality declined rapidly according to Enoch Light's wiki page. 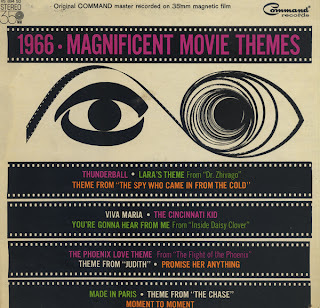 The engineering was always top notch and much of the music Command put out during this period, is groovy, silly or depending on your tastes cool light pop. This a great record with a fab 60s musical groove. 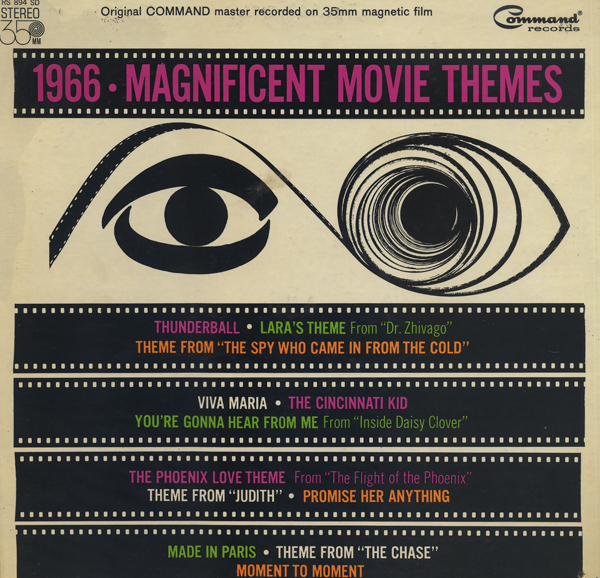 The cover was art directed by Charles E. Murphy, a designer who basically created the Command brand with his graphically bold cover images. Byrne is mentioned in a 1968 Billboard article as the A&R Director for Command, so I think he was probably on the Command payroll. Loren Becker is mentioned as Command's VP. Sweet romantic piano album featuring a clean, mood setting cover. The tracks are available by the download but you won't get the cover art. Here's a nice Bushkin bio found on answers.com. 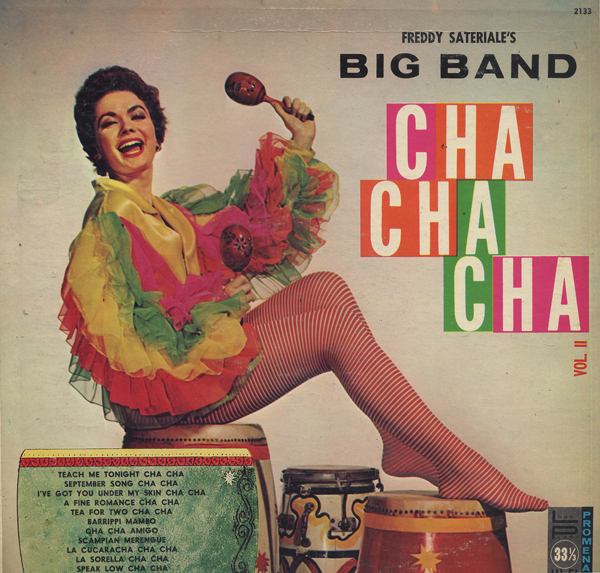 Here's an obscure Cha Cha album. Not much to be found on Sateriale and no information to be found on the back cover of this album. From the cover it looks like the album was probably released around 1958-60. 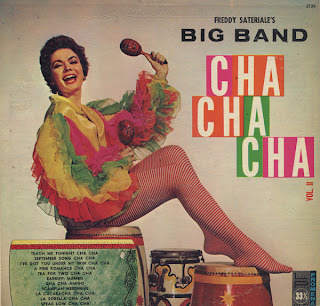 I've blogged one other album Sateriale blogged: (Broadway Latin American Party on Spinorama). Fun cover and decent small band Cha Cha. When I first flipped by the album I thought it was a classical music LP. Then I saw the word "latin" and pulled it out to give a closer look. The jacket is very heavy cardboard. The cover is a faux leather or leatherette. And the record itself is probably the heaviest vinyl I've held in my hands. I didn't have much hope for it, but this turns out to be a terrific set from a lively small Latin combo. From the many recordings I've listened to from the period, this is inventive and sparkling stuff. From the back cover it appears as though Le Winter was playing "Chicago's luxurious Pump Room" at the time he recorded this album. The photos on the rear cover were apparently "grip and grins" taken at The Pump Room. 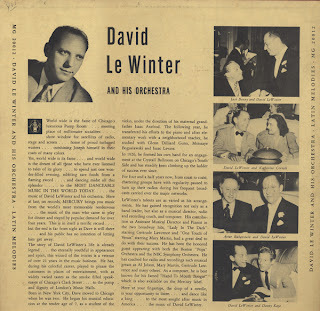 Also, it appears as though he was no early comer to nightlife, playing at the time the notes were written, 21 years in speakeasies to London's Music Halls. He also played with the Boston Pops Orchestra and the NBC Symphony Orchestra. Billboard thought this release might go over well with "mature buyers". A few tunes swing, but seem misplaced on a disc featuring mainly dated presentations for the 40s let alone, the late 50s. 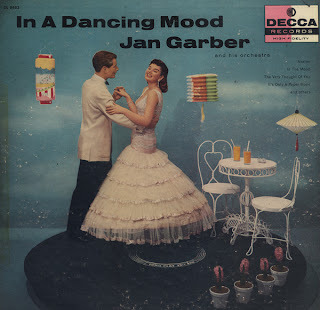 Terrific cover of couple in a dancing mood on top of a long play platter. 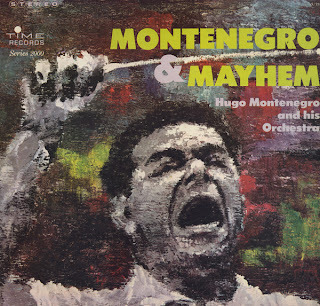 This album is a reissue of Bongs And Brass (Time 2014) released in 1960. It's possible that this is the stereo release. Montenegro is one of my favorite composers who is a genius at crafting tunes with enough surprises to keep you in the groove. He was also an innovator with the moog, influencing future generations of synth artists. 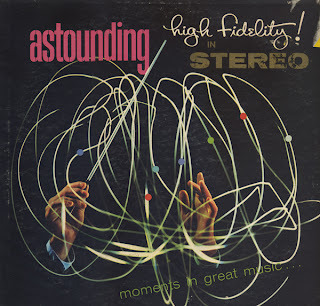 This album is a bend of jazz, bachelor pad and the ping-pong, a percussion fad that Enoch Light unleashed on the world. "Ping-pong" meaning bouncing sounds, very often and in this case bongos, from one channel to another. This is a great example of the many records created after this sound. Great engineering on this Time release. Cool space age stuff. 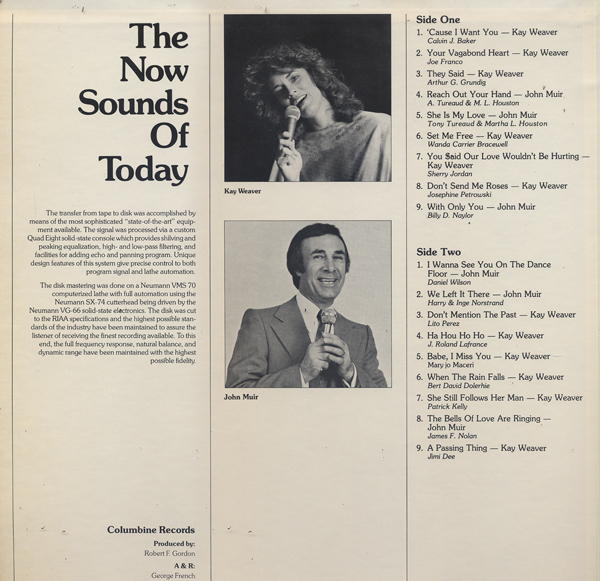 Musicians on the album include Doc Serverisen and Al Caiola.